31.07.2017 (Hvino News). 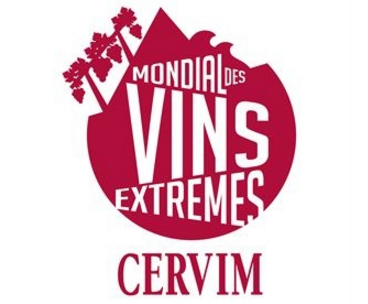 Georgian wines have received top awards at international wine competition ‘Mondial des Vins Extrêmes CERVIM’ in Valle d'Aosta, Italy. Badagoni Saperavi Reserve 2010 was awarded with Grand Gold medal, the competition's highest award. Another Georgian wine - Chigogidze Wines Saperavi 2015 - was awarded with a silver medal. Vineyard sites at altitudes over 500 meters. 29.07.2017. France's Cite de Vin museum will toast Georgia's 9,000-year history as the global birthplace of wine-making in a new exhibition from Monday. 27.07.2017 (Hvino News). 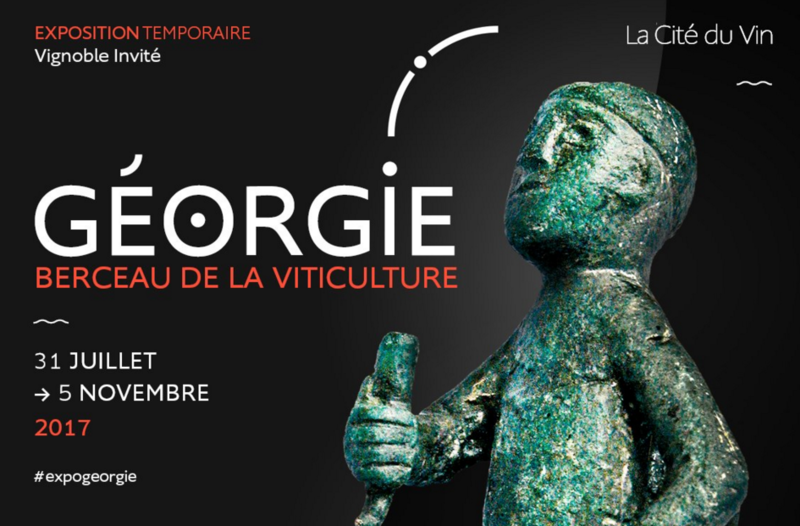 Georgia's solo exhibition celebrating its traditional wine culture at Bordeaux Centre for Wine and Civilisation (La Cité du Vin) will open next Monday. 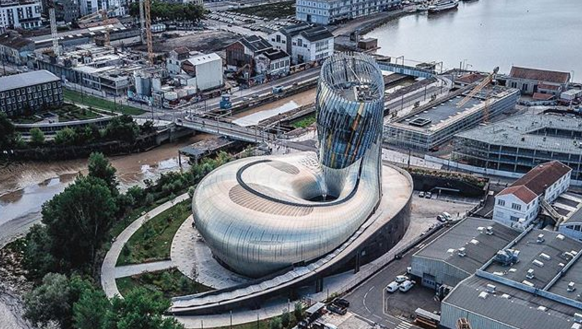 Georgia is the first ‘Guest Wine Region’ (Vignoble Invité) at prestigious centre La Cité du Vin in Bordeaux, opened last year. Read more at: French President opens "Cité du Vin" in Bordeaux, meets with Georgian Prime Minister. The exhibition "Georgia, cradle of viticulture" will be open from July 31 to November 5, 2017. 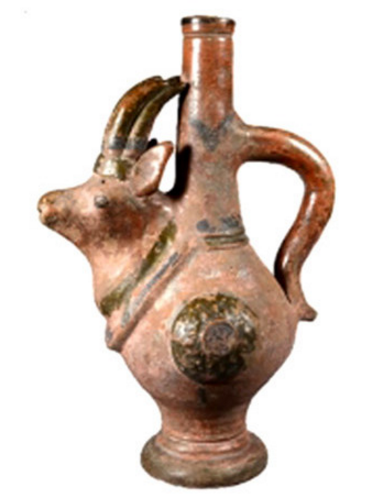 Produced by the Georgian State and the Georgian National Museum in Tbilisi, this exhibition will showcase 125 archaeological and ethnographical exhibits, works of art as well as period photographs from the Georgian National Museum collections. 24.07.2017. In the 1975 short film Gvinis Qurdebi (Wine Thieves), four mischievous villagers sneak into a stingy neighbor’s wine cellar, crack open his qvevri (enormous ceramic urn) and start drinking the wine stored inside. As they get drunk and rambunctious with toasts and song, they wake the winemaker who ends up joining them. 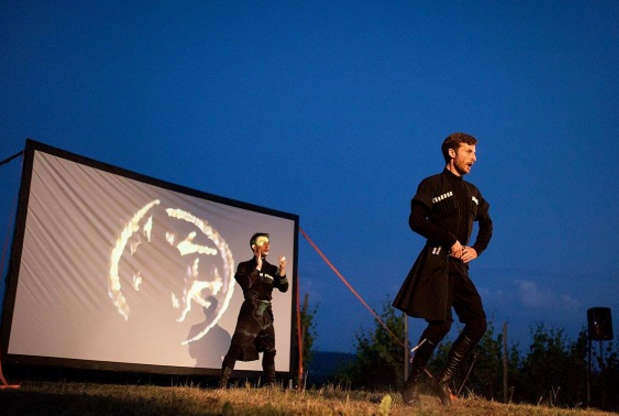 It is in this same spirit of Georgian joie de vivre that Avto Kobakhidze, Givi Apakidze and Zaza Asatiani have come together to take other people’s wine and sell it under their own label, Wine Thieves. Their catchphrase is “The finest quality Georgian wine ‘stolen’ exclusively for you,” although nothing is actually ripped off. If they like a wine from a person with no resources to bottle his or her own vintage, the Thieves buy it at a price set by the winemaker, then bottle and sell it. Helping humble winegrowers get their juice to market is nothing new in Georgia. Ramaz Nikoladze, the respected Imeretian natural winemaker, has helped get octogenarian Didimi Maglakelidze’s sparse but exquisite Aladasturi and Tsolikouri vintages into bottles and onto tables in the U.S. and Europe. 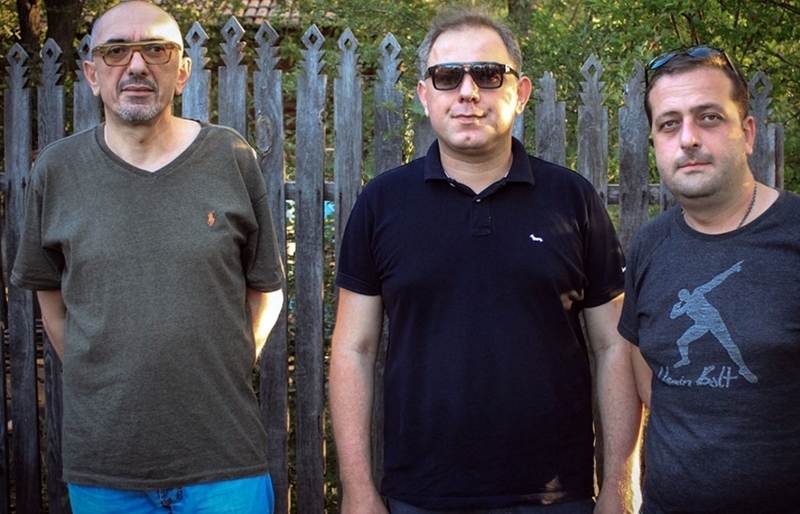 The difference with the Wine Thieves is that they are making a business out the practice.Motivated by a simple love of wine, these three friends started the business a year ago and currently have five family wines in their quiver: a Rkatsiteli-Mtsvane (made by Kobakhidze) and a Saperavi from Kakheti, a Chinuri from Kartli and a Tsolikouri from Imereti. In September they will add a rare Tetra from Racha and a Cabernet from Kakheti to the collection. 22.07.2017 (Hvino News). A gold miniature of “azarpesha” - ancient wine drinking vessel - will become the award of Saperavi World Prize, the first wine contest of Saperavi wines produced around the world. Saperavi, the “signature” Georgian grape variety, is becoming increasingly popular in the world. Saperavi wines are produced in Australia, USA, New Zealand, Central Europe, and former Soviet republics. 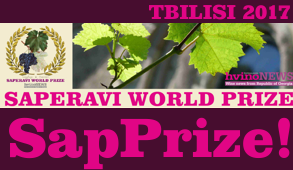 Saperavi World Prize is conceived to become not only a wine contest of Saperavi wines produced abroad, but “a meeting point of international winemakers and Georgian tradition-keepers, backed by eight millennia-old winemaking history of Georgia – the cradle of wine”, according to official site sapprize.hvino.com. 22.07.2017 (Hvino News). 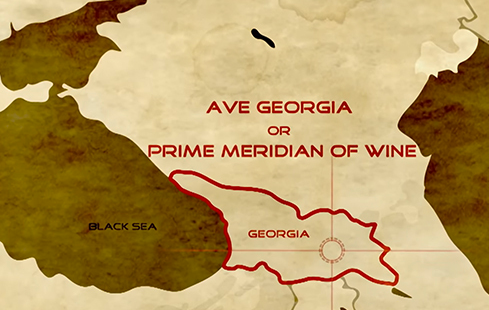 The European Bank for Reconstruction and Development (EBRD) is hosting a screening of new Georgian documentary 'Prime Meridian of Wine' at its London headquarters on 5th October. 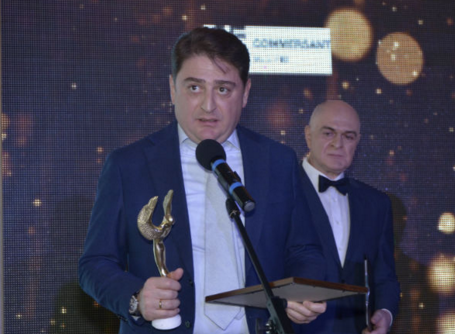 Read more: Georgian documentary "Prime Meridian of Wine” awarded at Spain's film festival and Hollywood success of Georgian wine documentary. You are invited to join members of the Georgian community to watch the documentary screening and for a wine tasting at 17.15 BST. To register, click here. 21.07.2017. What is an azarpesha? In Georgia, that’s how they used to call the elegant wine vessels with long handle, made of silver or gold. These richly decorated objects are now rare antique collectibles. 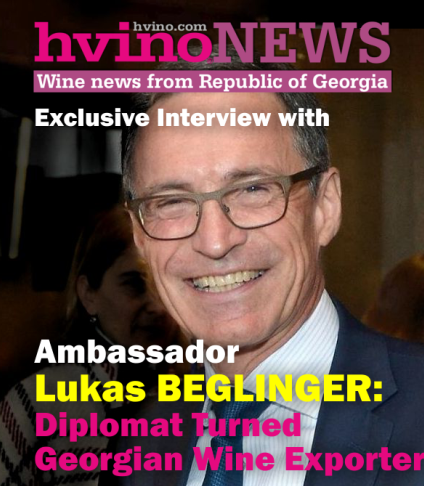 “It is a very important exhibition - Georgia is the first invited country and it is the proof that Georgia is the motherland of wine, the cradle of viniculture,” Davitashvili stated at the special press-conference on Wednesday. 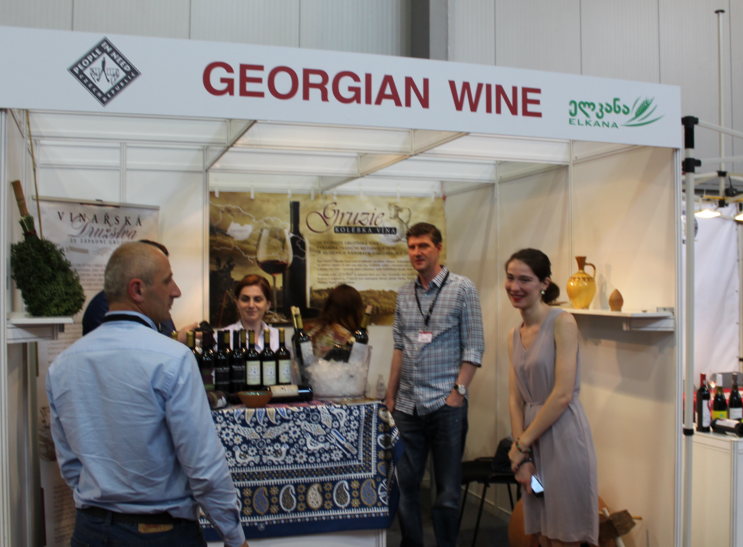 The Minister explained that participation in the exhibition is a unique platform for popularization of Georgian wine and culture. 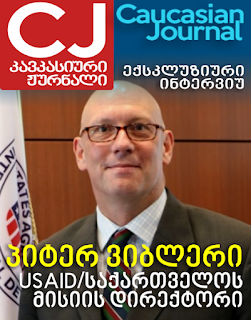 “I would like to thank the National Museum of Georgia which has prepared a very interesting exposition which will present Georgian wine and culture at the international center for four months,” Davitashvili added. 14.07.2017 (Hvino News). 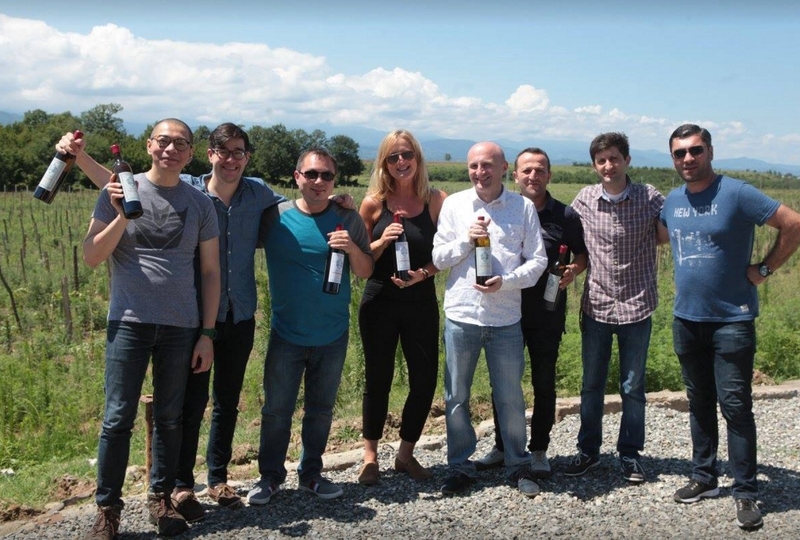 A group of wine experts from USA is visitig Georgia to explore wine cellars in Samegrelo, Imereti, Kartli and Kakheti. The visit was organized by the National Wine Agency. The group of wine professionals is headed by Julie Peterson of Marq Energie, an American marketing agency and National Wine Agency's contractor. “We are here this week in Georgia with a group of sommeliers from the US market, from some of the top restaurants, because we are trying to introduce them to the exciting wine environment in Georgia. This year, exports have been up 43% from last year to the US market. In this group we have sommeliers from Chicago, Saint Louis and New York City, and we have a waiting list of other sommeliers from the US market who are really interested in exploring and understanding what is happening in Georgia right now” - said Julie Peterson. 12.07.2017 (Hvino News). Georgia's Prime Minister Giorgi Kvirikashvili inaugurated the opening of Nelkarisi Winery complex on July 9 near the village of Shilda, Kakheti region. “This is one of the best samples of cooperation between government and private sector”, Kvirikashvili noted. “We have invested more than 4 million USD in this project, of which 600 00 USD is a preferential agro credit. We have employed 75 persons. This is very important. This place is of serious historical importance, the home of winemaking in Georgia. I believe this archaeological project will open a new interesting page in history of Georgia. I believe this place will raise special interest of tourists and it will become one of the key tourism destinations”, Giorgi Kvirikashvili said. Nelkarisi Winery is built on the territory of the ancient city of Nelkarisi (1st century BC). Nelkarisi Winery complex unites a wine plant, wine shop, restaurant and wine cellar. JSC Friends Cellar (Megobrebis Marani) was built in 2014 financed with $600,000 in the framework of the United Agro Project, with an overall investment budget of $4 million. Private Liberty Bank is among partners of the project. The company produces 150,000 bottles of wine per year, selling it on the local market as well as exporting to Azerbaijan, European countries, the US and Great Britain. 12.07.2017. Along with 60 or so wine enthusiasts, professionals and consumers I was lucky to be invited by Nicole Sierra-Rolet, co-founder of the le Chêne Bleu estate in the southern Rhône to try to answer this question at a weekend think tank snappily entitled "Fine Minds 4 Fine Wines". 10.07.2017. 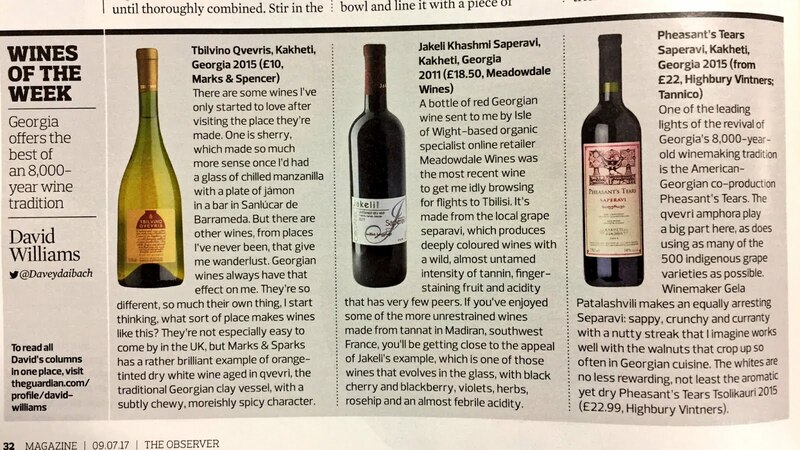 Britain's The Guardian and The Observer have published a review of 3 Georgian wines as "Wines of the Week". The review is authored by wine columnist David Williams, who chose Tbilvino Qvevris, Jakeli Khashmi Saperavi and Pheasant’s Tears Saperavi. 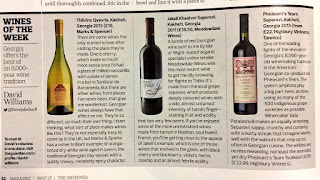 "With a wine tradition that stretches back 8,000 years and more than 500 indigenous grapes to choose from, David Williams has managed to select just three great Georgian wines for you to try", - reads the preface of article. Tbilvino Qvevris, Kakheti, 2015 (£10, Marks & Spencer) There are some wines I’ve only started to love after visiting the place they’re made. One is sherry, which made so much more sense once I’d had a glass of chilled manzanilla with a plate of jámon in a bar in Sanlúcar de Barrameda. But there are other wines, from places I’ve never been, that give me a bad case of wanderlust. Georgian wines always have that effect on me. They’re so different, so much their own thing, I start thinking, what sort of place makes wines like this? They’re not especially easy to come by in the UK, but Marks & Sparks has a rather brilliant example of orange-tinted dry white wine aged in qvevri, the traditional Georgian clay vessel, with a subtly chewy, moreishly spicy character. 10.07.2017. Georgian wine company Kakhetian Traditional Winemaking is expanding further beyond Georgia and opening a representative office in China - one of the most promising markets for Georgian wine export. “This will help us to conquer the Chinese market easier. 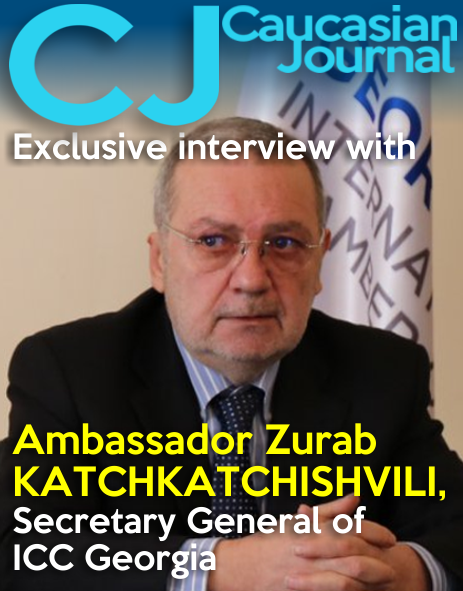 At the same time we are improving our presence in Georgia and plan to open branded wine saloons in the big cities of the country,” said Zurab Chkhaidze, Director of Kakhetian Traditional Winemaking. Kakhetian Traditional Winemaking is one of the biggest companies producing wine and brandy in Georgia. By merging modern technologies and ancient traditions of wine-making the company can preserve the old, unique taste of wine and create its own unrepeatable style. Kakhetian Traditional Winemaking bottles wine in glass and also clay vessels made in a traditional way. The clay vessels give the wine a medicinal quality and ennoble its taste. 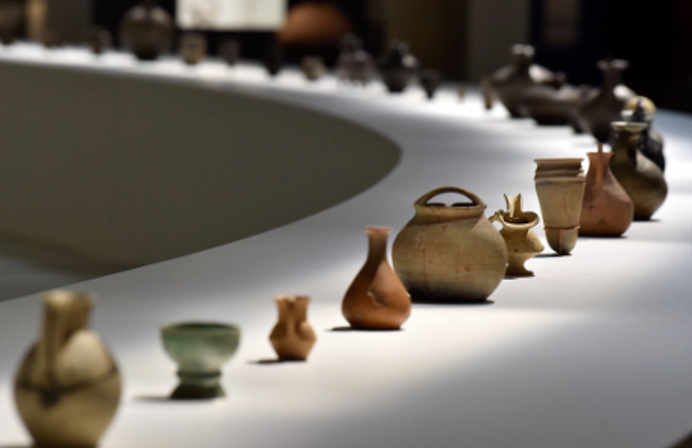 Each clay vessel is unique, is made by hand and has got a special design, which is created exclusively for Kakhetian Traditional Winemaking. 06.07.2017 (Hvino News). According to official data, in January-July 2017, around 31.5 million bottles of wine were exported from Georgia to 44 countries worldwide. Based on these numbers, exports were 59 percent higher in the last six months than the same period in 2016. January-July wine exports this year amounted to $70.5 million, which is 51 percent more than 2016. “According to the export data of the first half of 2017, wine export has grown by 60% compared to the same period of the previous year. 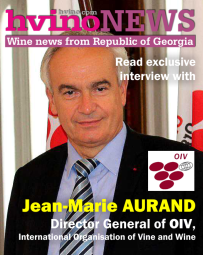 In January-July, exports increased to the European Union, China, USA and other traditional markets, which is a result of collaborated work and marketing activity of the National Wine Agency and wine sector,” the head of the NWA Giorgi Samanishvili said. The top importers of Georgian wine during this period were Russia (19,313,343 bottles), China (3,842,412), Ukraine (2,983,000), Poland (1,212,704) and Kazakhstan (1,163,827). 05.07.2017 (Hvino News). Georgian wine seminar and tasting “Georgian wines for the summer” was held at a famous historical winery “Winnica Srebrna Gora” in Krakow, Poland. The event was lead by Mariusz Kapciński of Vinisfera company, a National Wine Agency's contractor. 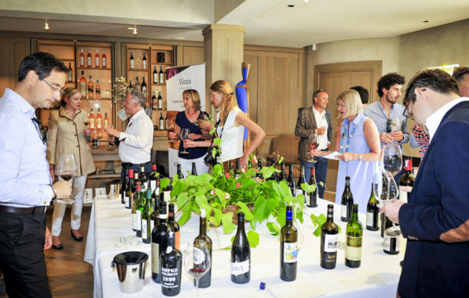 Local importers, wine shop owners and restaurateurs, wine journalists and bloggers attended the event. The guests watched a documentary film about the Georgian qvevri winemaking method. Dancers of the Georgian National Ballet Sukhishvili performed Georgian folk dances. 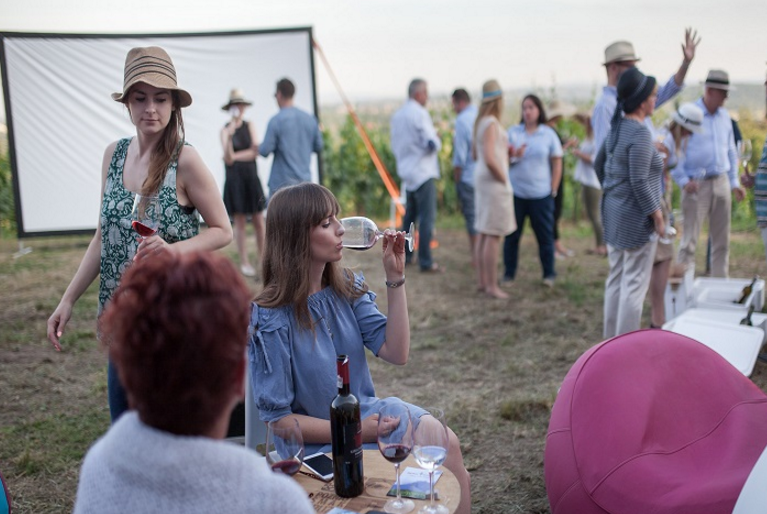 The guests had the opportunity to taste wines of the following companies: Marani, Besini, Wine man, Schuchmann wines Georgia, Chateau Mukhrani, Jeveli, Kindzmarauli Marani, Vaziani Company, Mandili, Corporation Kindzmarauli and Kakhetian Wine Cellar. 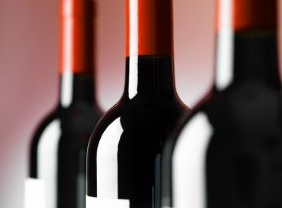 Currently Poland is included in the top five Georgian wine importer countries. In January-May 2017, over 978,000 bottles of Georgian wine were exported to Poland, which is 17 percent higher than the same indicators for last year. 04.07.2017 (Hvino News). 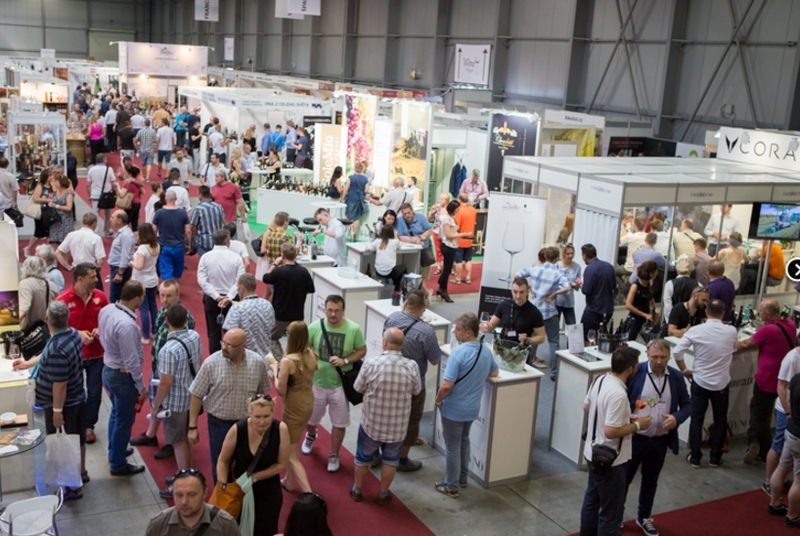 Three wine cooperatives from Georgia - “Winery Sazano”, “Terjola Wine” and “Jvarisa XXI” - presented their products at the largest wine exhibition in Central and Eastern Europe Wine Prague 2017. These wine producers were established with the support of the EU-funded European Neighbourhood Programme for Agriculture and Rural Development (ENPARD), in the scope of the project “Enhancing Small Farmers’ Cooperation and Productivity in Imereti and Racha Regions”. Participants of Wine Prague 2017 had a chance to taste 5 different brands of Georgian wine: Otskhanuri Sapere, Tsitska, Alexandrouli, Tsitska-Otskhanuri, Aladasturi. 03.07.2017. (Hvino News). A private wine tasting for members of "Grapes & Grains" international community in Washington, DC (USA) will focus on wines from Georgia, Hungary and Croatia. 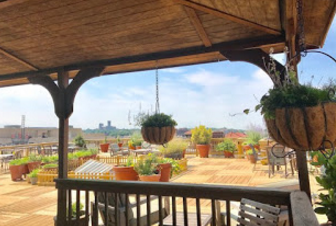 The event is scheduled for July 16 at 6:00 PM at Jeannie's Rooftop, in Washington's prestigious DuPont Circle neighborhood. "During the event, we will be talking about the wine culture in these countries, besides the indigenous grape varieties and the ancient wine-making techniques used for production, in some of these wine producing regions. Georgia is considered to be one of the most ancient wine region of the world. 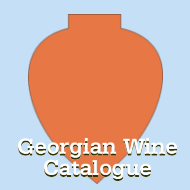 Through numerous archaeological discoveries it has been found that Georgia has an 8,000 year history of wine-making tradition, and at the very core of this tradition is the use of a clay vessel called qvevri", - reads the event description. Admission: $25 (includes wine tasting and light snacks). Tickets must be purchased at: Rooftop Wine Tasting.